President-elect Trump cast doubt on Twitter Wednesday about the U.S. intelligence community’s assessment that Russia was behind the hacking of Hillary Clinton’s presidential campaign and the Democratic National Committee. In doing so, Mr. Trump appeared to side with WikiLeaks founder Julian Assange, who asserts Russia didn’t give his group the hacked Democratic emails that shook up the 2016 election. Those surrogates include Rep. Peter King, of New York, a member of the House Permanent Select Committee on Intelligence, former CIA Director James Woolsey, former House Speaker Newt Gingrich, and former Alaska Governor and Republican vice presidential candidate Sarah Palin. Even Mr. Trump himself weighed in on Assange in 2010, saying, “I think it’s disgraceful. I think there should be like death penalty or something,” in video uncovered by shown on CNN’s KFile on Wednesday. In December that same year, Rep. King introduced a bill targeting WikiLeaks. 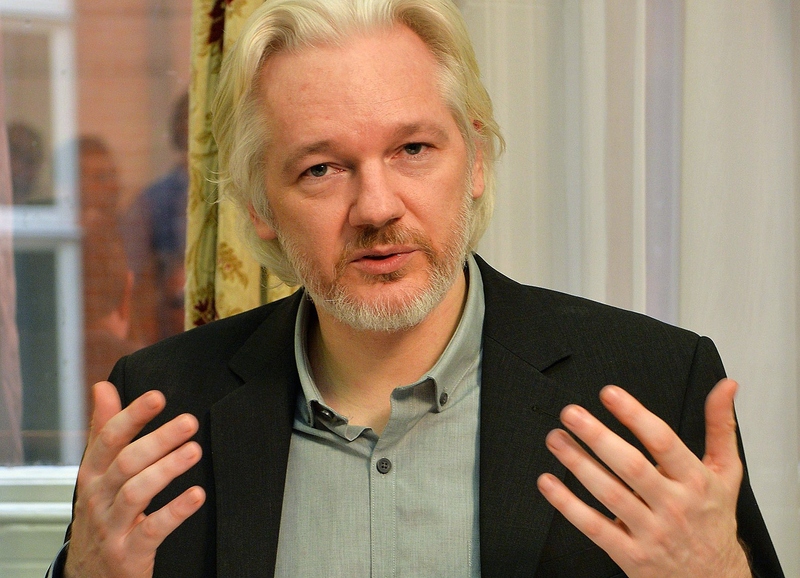 “I consider Mr. Assange a handmaiden of terror. And he definitely has blood on his hands as far as I’m concerned,” said former CIA Director James Woolsey, now a Trump national security adviser and media surrogate, in a November 2010 MSNBC interview. Palin once condemned Assange in 2010 as an “anti-American operative with blood on his hands” after WikiLeaks published leaked emails of hers. Elaborating in a Facebook post, Palin wrote, “I apologize for condemning Assange when he published my infamous (and proven noncontroversial, relatively boring) emails years ago,” and thanked him for exposing Democrats.